It's so simple to make a two tone curvy keepsake box, you just need a bit more time and glue to create this effect. 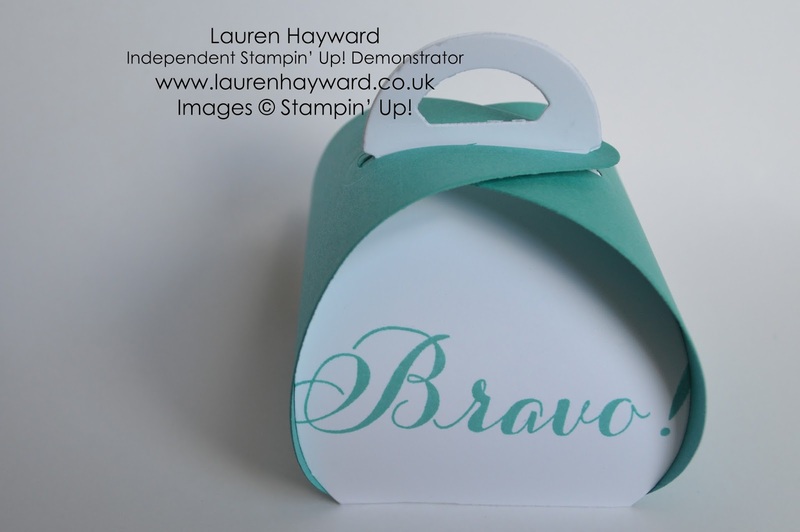 The decoration of this one is so simple, just one stamp on each side reflecting the occasion - matching the colour card used makes a great effect. I've used Whisper White and Bermuda Bay for this one. 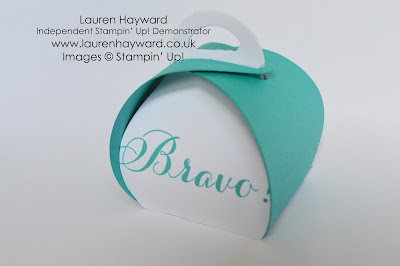 curvy keepsake gift box Stampin Up!